How to create AJAX handover extender in ASP.NET? 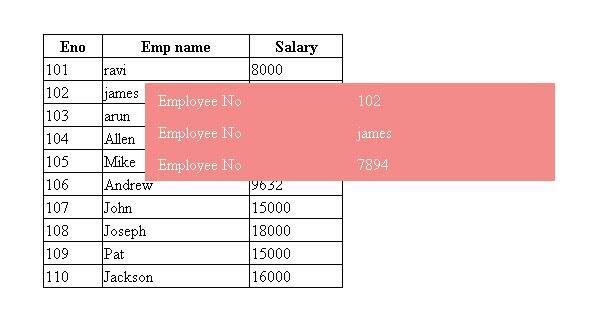 If you move cursor on the employee number full details are display in the small popup window. Here with I have attached source code of AJAX hand over extender download and try to learn how handover extender work. I hope this article help to know about hand over.